With every day that passes called off from work; I simply do nothing. I’ll watch youtube and type away at my book from seven years ago, and groan over my unsuccessful writing. I realize that while I write to write and tell a story or five twisted into a way it only makes sense to me; I could really avoid some of this agony by following ten different things. Being subscribed to multiple news letters there’s always a ten best, ten things, or ten miracle secrets, I always wind up reading. What’s terrible about this is there are many commentaries which make me feel inadequate. For example one I read recently on e-book marketing talks of the “Dead” model of books; “This is an example of a dead book. The author only receives five downloads a day, only one paid download every other day. This merely results in a negative profit. More likely causes could be the writing isn’t captivating…” I wish I had sales like that! While these spawn good ideas that I painstakingly try to copy it only ever leads to more agony. 2. Stop spending my entire day off, writing. So my muse, Hemingway, said a true writer writes everyday. Well I certainly do, but on my days off I seem to do nothing but leave my chair to smoke a cigarette or grab another beer. While sometimes my imagination is flowing and captivating, I only re-write what I wrote the next day resulting in a horrendous cycle of not-getting-anything-accomplished. While statistics are a good way to help formulate a snap shot of my writing performance, staring doesn’t make a difference. Punching numbers into a calculator doesn’t increase my odds, or ever make me feel any better. I sometimes literally stare at the bar graph or line chart and wonder why it continues to dip back to ZERO! 4. Stop trying to find a good place to write, and just write! Searching for a good place to write only seems to take up more of my time that I could be spending writing. While location is important to inspiration, searching for a location along the beach is nearly impossible. I could stop in at Hillcrest sit at a cafe and write, but then my eyes are drawn to the men around me which inevitably leads to my discovery of the bar. Then, well, it’s all over from there. Thanks Hemingway. In a day I will get bored with writing or just demand a break from it. Then I begin to play with gadgets on my computer, all leading to things I could buy to “help” me out a bit. I need business cards, a good website, a nook, and more books on the topic of writing. I don’t have money for those sorts of things. I promise myself I will invest the money I make from my writing into those items when I begin making money. Is that wrong? Well, not going to happen for a little at least. Don’t worry about just my book. I have other platforms I need to continue to use. I hate getting emails from Examiner.com stating I’ve lost my status of “premier article presenter” if that even exists. While I have a big project in front of me, rewriting my old works for the release of my latest book, I can’t forget about those little side projects. While appearing as a modern day Bo Radley might seem fun and twisted; there is nothing exciting about it. A hermit I can call myself. Approaching three months that I have been in San Diego and I barely know the names of anything around here, only the streets and highways I take to work. While worried about spending too much money, which I always seem to do, there are plenty of free things to do. Folks, I believe I have said it since day one, but Grammar KILLS ME! I love to use comma’s and apostrophe’s where they aren’t really supposed to, go. (<-HAHA, get it!) Maybe if I took a small break from writing a thousand hours of my day away I could pick up a few valuable lessons in Grammar. I literally have a thousand versions that all sound good to me. Randomly, while writing The Unexpected, I ‘ll get yet another idea for it. I then open up my choice of fifteen different word documents all containing hooks and bodies of query letters. Practice makes perfect, but right now. I don’t need to be worrying about the Query letter when I have all of these other things gathering. Actually that’s a bit of a lie, I should be drinking less. Though in moments of writers block or severe writer’s agony the icy cold refreshment usually represents a way to relax and just write. While I will spend the entire next day editing what I wrote while drinking beer at least I wrote. This is no way to go about writing though, as I should learn again from Mr. Hemingway and his friend Fitzgerald. To sum things up. I need to let my craft be my craft while honing in on some of the not-so-fun aspects such as grammar. I will get there but maybe in the mean time I could take some of my own advice as listed above. Writing the painstaking query letter has proven not to be easy. Taking the entire story, wrapping it up into a tiny small package, and still hitting key points minus all the background, explanation, imagery, and art. I have fluffed, puffed, fumbled, and strained my manuscript in attempts to make something that is reminiscent of a professional query letter. I have only gotten a single bite, requesting more information from the query I was using. I decided to change things up a bit, but found a conversation in the authorqueryconnect.com forum, which swayed my eye. Appropriately titled “I am DONE querying” the young lady vents about the frustrations of querying. From this she tells the world that she plans to self-publish. There is response upon response giving credit to trying to query, but also offering support and encouragement for the process. I was distracted by this momentarily, but then got back to my query letter. So the deal is, I have submitted this query to several agents. I have also posted this on agentqueryconnect.com where it has gotten some great feedback. Here’s hopin’! But hey, if I don’t get the representation I seek, I can always go it alone. (again) It won’t be a problem. I have been struggling with my latest book for what feels like a bit more than a year now. I currently have three days to get something together, and still accomplish tons for work. Day one of it all, I think I may have put together a query that works, and designed a cover to help me visualize the completion of the project. The cover I made up is shown (though I’m sure it won’t really look like this) along with the query letter. So please take a look, read it over, and let me know what you think! Thousands gathered at the White House to hear Andrew Rakford’s inaugural address. At the closing statements, the first explosions of the Great Christian Revolt mutilated hoards of people. With bodies strewn across the lawn Rakford has seconds to determine a course of action, however, something horrendous had already begun, God’s plan. President Rakford forced into a war he would never end, quickly learns his path of peace isn’t as easily attainable as once thought. In attempts to eliminate the threat presented he finds it necessary for national security to raid a church group because they were moving heavy weaponry. The pastor of the church was named most wanted because camera’s showed him throwing a grenade into a crowd. He must also list suspects based on religious practice as current intelligence validates Christians behind each event. Every situation is causing him to stand against his morality, yet increases his popularity internationally. His mother, in his meditation, reassures him God has a plan. Meditation was the only way to see her since her death. Once his meditations begin to deteriorate, the lady in white shows him into this new role of world leader. Though he couldn’t clearly see where God came into everything, there was no better way to fool everyone than to fool the man himself. Now with two plans in play, only the strongest can prevail to reveal the best president ever or something of the worst imagination, The Unexpected. THE UNEXPECTED is a 70,000 word novel. An end of times thriller, tuning into the fears of 2012 yet promising a world past this. I have had entries published on About.com, Examiner.com, and Suite101.com. Reviews of other work can be found at jclarkmedia.com, bookpleasures.com, and pulseweekly.com. Publications such as Lehigh Valley Style Magazine, The Morning Call, and Carlisle’s “The Sentinel” also reviewed some of my work. Partial or full manuscript is available upon request. Thank you for your time. Everyday across the media there are invigorating statements relating to the end of the world. Nostradamus, the Bible, and the mayan calendar all predict the end to be in 2012. 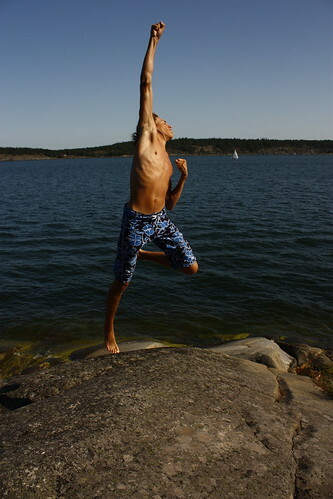 What if we lived to see a world beyond this where there was peace and abundance. What if this was the perfect world to begin the ultimate chapter of the end, the Revelation. The threats of 2012 loom everyday on the news, in our minds, and across civilization. What if we made it past this to see a world that initiates it’s president with an Inaugural massacre which makes way to the great Christian Revolt? 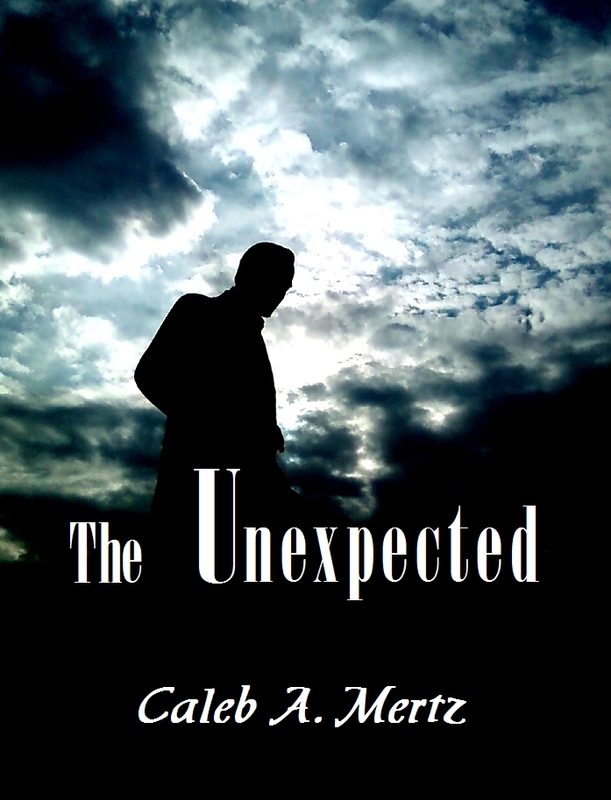 “The Unexpected” creates a world much like the one we live in today but filled with anxious twists of what’s norm, from Christian terrorists, blatant execution without due diligence, and modern day concentration camps. Andrew Rakford is a young President of the United States starting out at the youngest age allowable, 35. With a swarm of warped memories of his childhood and life practices Andrew is capable of using charm as well as intelligence in attempts to literally make everybody happy. Till he learns of the truth of his mother’s reactions to his life, and the true reason why his father had left so many years ago does he remain a man of unfathomable patience and kindness. Smart twists to the plot and story line add the dramatic effect of this novel never truly allowing the reader to see what will happen, though told through a third person omniscient point of view. Imagine that you are at the ripe young age of 35. You’ve just received a promotion where you feel you can make everything better, the wrongs into rights and the woes into victories. You’re mother always used to tell you that you were going to be a mighty man of God after a priest had prophesized this for you. Here you sit being agnostic, but still having a love for your deceased mother, her lovely sayings, and realistic revelations. The Christians have united and created a terrorist group that is reigning destruction on the United States and countries abroad because they feel that the government has become too corrupt to go on. A combination of assassination attempts, terrorist attacks, and a plethora of missing people finally makes you initiate a plan in order to keep the world safe. A plan that would ensure people follow you, and don’t oppose you. A plan where the world is the edge of your every command. You now know that you are the President of the United States, and you are the Anti-christ.